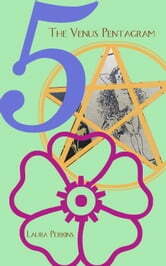 The number 5 is embodied in the heavens by the Pentagram that Venus draws over time. Hidden within the Pentagram is the Golden Ratio, thought to confer beauty on everything that exists in its harmonious proportion. Correspondences to the divine mathematics of the Venus Pentagram are found throughout nature, art, architecture, and even the human body. Mythic symbolism corresponding to the cycle of the planet Venus is found in stories from around the world, and these stories connect with astrological insight. This booklet provides a fascinating overview of Venus, the goddess of love and beauty, in mathematics, nature, mythology, and astrology.